Melissa has an intuitive gift to see & sense into the body, mind, and spirit. This allows her to access your energy field; she will then find blocks and “stories” that are sabotaging your efforts. An intuitive guidance session brings clarity to the opportunities present in your business and/or personal life. It can also bring healing, awareness, insight, clarity, and peace. Every moment and experience has a message for us, we just need to tune in with sacred listening to receive it. 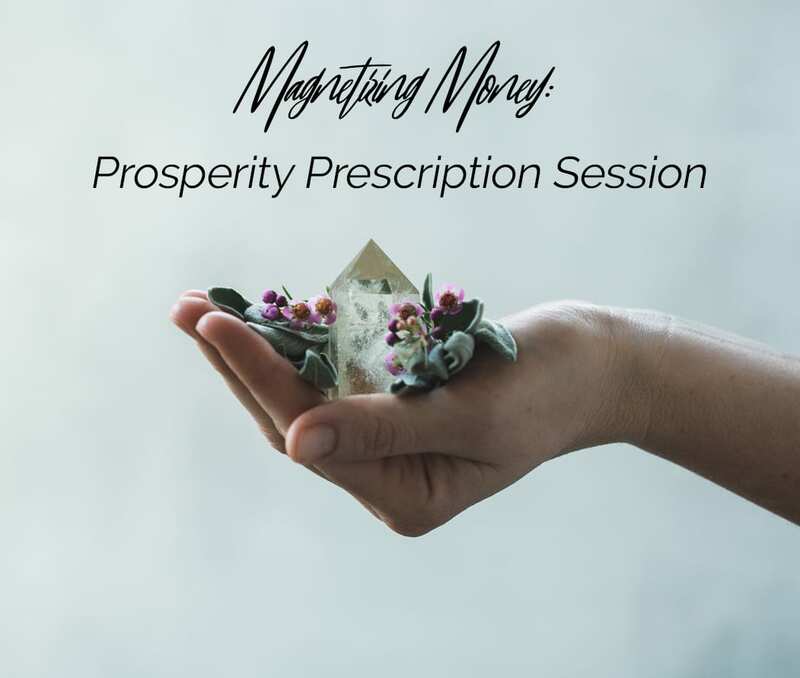 A “Prescription” for going forward: includes a hypnotherapy track, journaling exercises, or another practice help continue the healing or creation of a result/goal. Most spiritual healers, artists, entrepreneurs, and creators struggle with money or receiving on some level. Clearing money blocks can change your life rapidly! 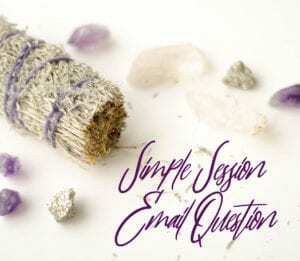 This session is specifically designed to uncover your blocks (2-5 per session), pull the roots, and clear them from your nervous system, energy field, and subconscious mind. Most blocks are deeply embedded in the subconscious mind and are not in reach of pure thought or attention alone. Melissa’s approach involves a detailed intake process, deep clearing work, and a prescription based upon your energetic signature of what is necessary for you to clear the blocks from the subconscious, then completing with new patterns implanted into the fertile soil of your mind. Each session includes a frequency read to determine where you are vibrating before and after the clearing has completed. Every thought, emotion, and action we take has a frequency. By understanding and applying this we can then intentionally use frequencies to dramatically shift an outcome and result. Melissa has a unique ability to feel into the human nervous system and works with people to release blockages, manifest desires, release unhealthy patterns, release vows of poverty, rewrite sacred contracts, ease pain/discomfort, and hone in on ancestral patterns that may go back hundreds of generations. This allows deep healing to occur for the family lineage going back…and through time. She combines intuition with a few healing modalities to “test” your energy, clear the old emotion or story, then begin training the brain to allow for new opportunities. The same process as an Intuitive Guidance session, except you, get to ask a single burning question instead of paying for an entire reading. 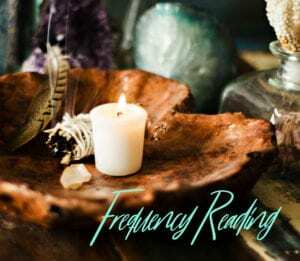 Melissa reads your question, records her answer back to you, and send you the email recording along with the card she draws for you, and a few tips for to heal/shift/handle your situation. Melissa lives in Sedona Arizona, home to the sacred red rocks and vortices (vortex). She deeply honors the land and loves to bring her clients out onto the land for healing, transformation, and connection. 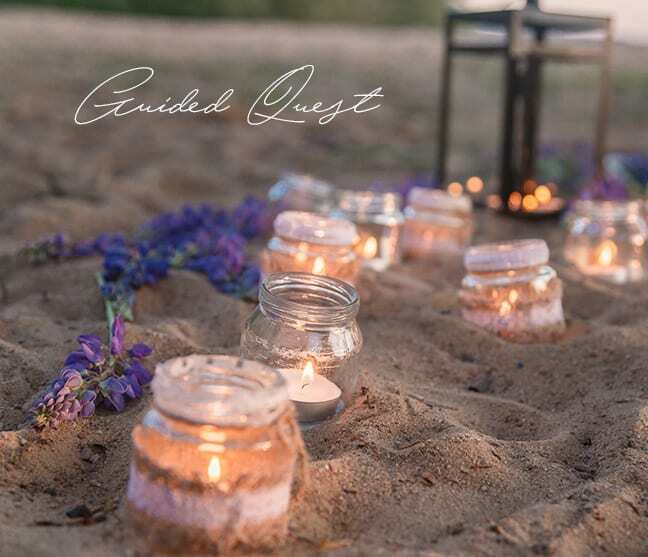 You have a choice of a Guided Day Quest or a Guided Private Retreat Quest, one if for a half day with Melissa and the other is 2.5 days. My intention in every single session is to hold a safe and sacred space for you to allow anything that needs to arise, to do so. We create space and learn how to trust the process, and connect to your individual spirit. This raises your level of awareness and reveals choices & opportunities. We can often feel stuck, blocked or unsure of our next moves in life. Together we begin to establish trust in your self and your spirit; uncovering latent gifts & messages you may hold… and how to express them out into the world. Your path is lined with support, sometimes we all just need a little clarity and reassurance move beyond the fear and doubts that creep up. All sessions include support, usually in the form of a tool, a ritual, or step you can take to move forward. Sessions are all recorded free of charge, with the client’s permission. All sessions must be rescheduled or canceled within 24 hours of the appointment booking for a full refund. There are no refunds for simple session email questions. During our time together, I provide techniques to deepen your spiritual connection and guide you towards healing, wellbeing, and to unwind old patterns or beliefs that keep you from living fully in your body. Together we discover blocks and shift them into opportunities and meaningful solutions to help you live inspired life as you fulfill your dreams.